The best way to reach me is by email. If you wish to be placed on our waiting list our next round of kidding begins in June. After all reservations with deposits have been filled we will contact you when kids become available. Individuals will be emailed in the order we received requests. If we do not receive a response within 24 hours we will contact the next person on our list. A nonrefundable deposit is required to hold your kid(s) until weaning. Please note, we do not carry over reservations from the previous year, if you wish to remain on the waiting list please resubmit a request. Please ask yourself these questions before purchasing your first goats. Have you owned goats before? Do you know that goats are herd animals and that you will need at least two? 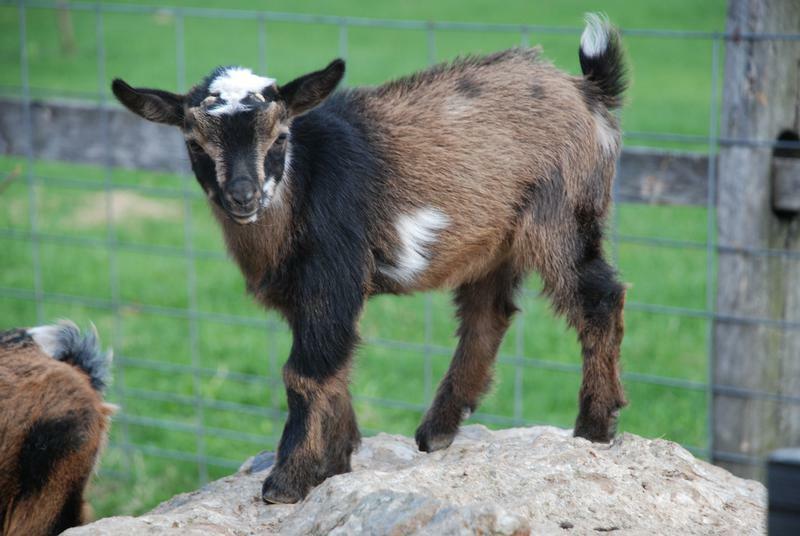 Have you taken time to think about the care and time it takes to own a goat? Did you know that they need to be dewormed and have their feet trimmed? Are you willing to go outside when it's 20 below zero to feed and water them? Is your fencing strong enough to keep goats in and secure enough to keep predators out including dogs? Do you have shelter for your goats? Goats need shelter from rain, wind and cold. Does who are kidding need extra care in keeping them and their newborn kids warm and dry. 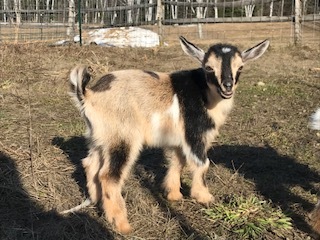 Do you have a veterinarian that is familiar with goats? Start looking for a veterinarian before you have an emergency. Not every vet will care for goats or livestock. Get a vet lined up before you have an emergency. What type of goat do you want? Pets? Home dairy? Show? or maybe all of the above? Do you have a source for good quality, mold free hay? If you answered "no" to any of these questions then you may not be ready to purchase a goat. Does the breeder test for CAE, CL or Johnes...yes, these diseases are VERY real...and don't just take their word for it...ask to see RESULTS. Does the breeder practice coccidia prevention? Do any of the goats have runny noses? Do you hear excessive coughing in the herd? What condition are the goat's hooves in? Are they overgrown, foot rot present? Are the pens clean or do they reak of ammonia? Do your eyes burn when you walk in the barn? Run your hands over the goat you intend to purchase....any large bumps or lumps? Any hair missing? Shiny coats usually indicate healthy goats, don't purchase an excessively over or under weight goat or a goat with manure plastered all over it's but. Check to make sure your prospective purchase has two teats....either a buck or a doe.....goat's are not cows..only TWO should be present. If you're buying a breeding buck check to make sure there are TWO testes....if you can only find one move on. A respectable breeder will point out the flaws, if any, on your purchase, will not sell a breeding animal with more than two teats or less than two testicles. Lastly, please quarantine your new purchase from your existing herd for at least a month, no matter where you purchase from. The following are being offered for sale to make room for this year's kids that will be retained in order to maintain a managable herd size. 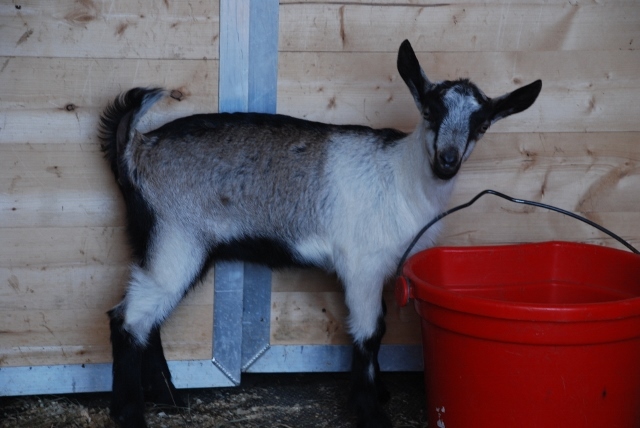 We will not mark or hold a goat as "sale pending" until we have received a nonrefundable monetary deposit. Please Do not place a deposit without checking with me. Does that are sold as bred will come with a "doe only" service memo which means bucklings will NOT be registerable. To avoid any misunderstandings please read and agree to the following sales policy BEFORE purchasing or placing a deposit. Thank you. Please note, we are not open for unannounced visitors and although we love animals, we ask that you please leave your pets at home. 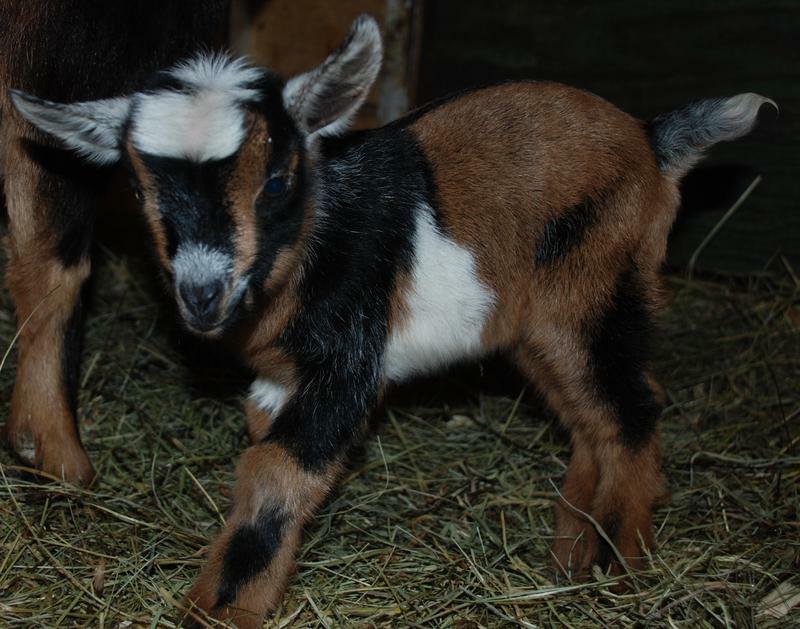 Please note: I will not disbud any dwarf kid that is over two weeks old or if the horn bud has broke through the skin. Please plan accordingly and make an apt. when your kids are first born. Now accepting deposits to reserve 2019 kids. A $50 deposit will hold a 2019 kid for you. Our next batch of kids is due in June. Once the kids are born you will be contacted to choose your kid(s). Your kid(s) will be disbudded unless they are polled. They will be ready to go between 8-9 weeks old. If they are not picked up by 9 weeks of age you will be charged a boarding fee. 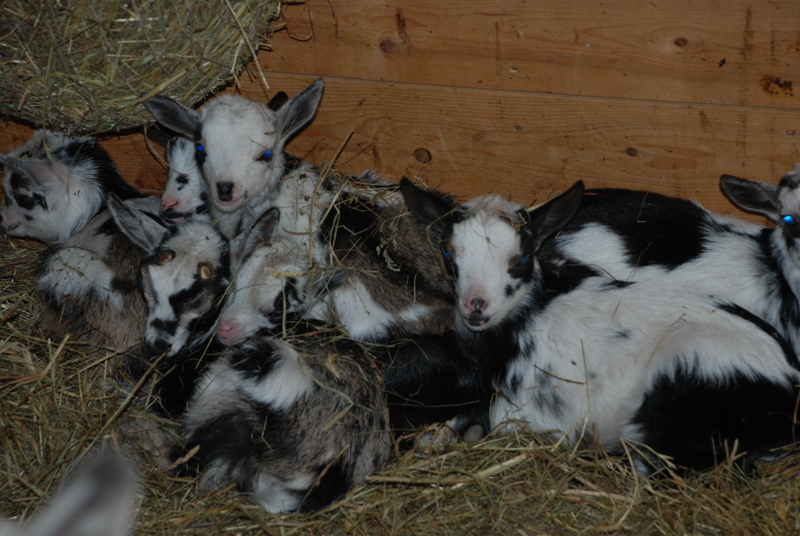 If they are not picked up by 12 weeks of age your deposit will be forfeited and the goat will be relisted for sale. If we do not have kids available for the 2019 kidding season we will refund your deposit or roll it over to next year (your choice). Please contact us before placing a deposit if you have any questions.